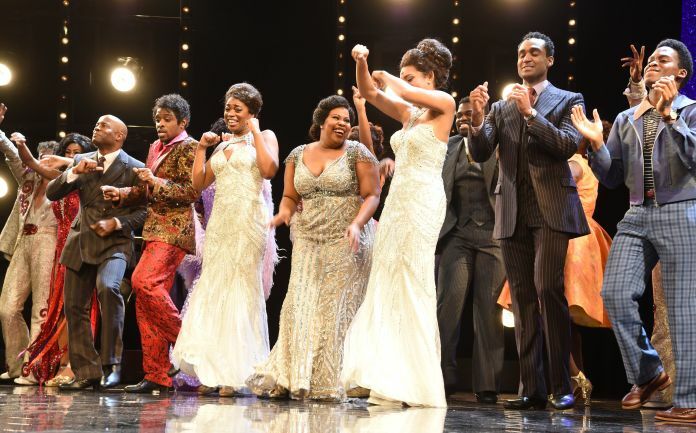 A casting call for a Broadway production of “Dreamgirls” appeared on industry sites Wednesday. According to a press representative for Sonia Friedman Productions and “Dreamgirls” in London, the casting call is “exploratory” and is not tied to a theater or a potential Broadway timeline at this time. The notice lists Sonia Friedman Productions as the lead producer, with Casey Nicholaw, who was also with the show on the West End, as director and choreographer and Bespoke Theatricals as the general manager. Tara Rubin’s office is listed as the casting director. The notice calls for auditions for seven principal roles, including the Dreamgirls themselves, and states that dates are “to be announced” in 2018 or 2019. Previous casting notices for the musical on Broadway appeared as early as June 2017. The musical revival, with a book and lyrics by Tom Eyen and music by Henry Krieger, opened on the West End in December 2016 and won two Olivier Awards for stars Amber Riley and Adam J. Bernard. In June, it announced that the final West End performance would be Jan. 12, 2019, followed by a U.K. tour.